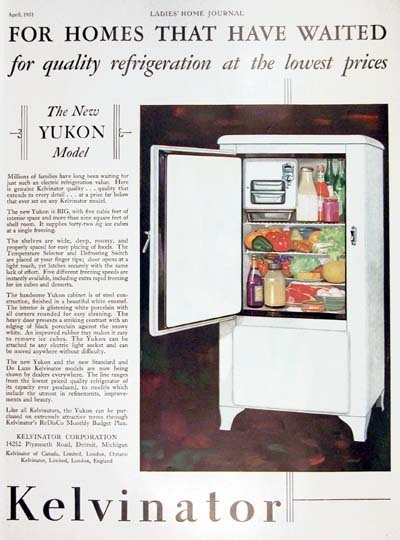 1931 Kelvinator Refrigerator original vintage advertisement. For homes that have waited for quality refrigeration at the lowest prices. Announcing the new Yukon model.